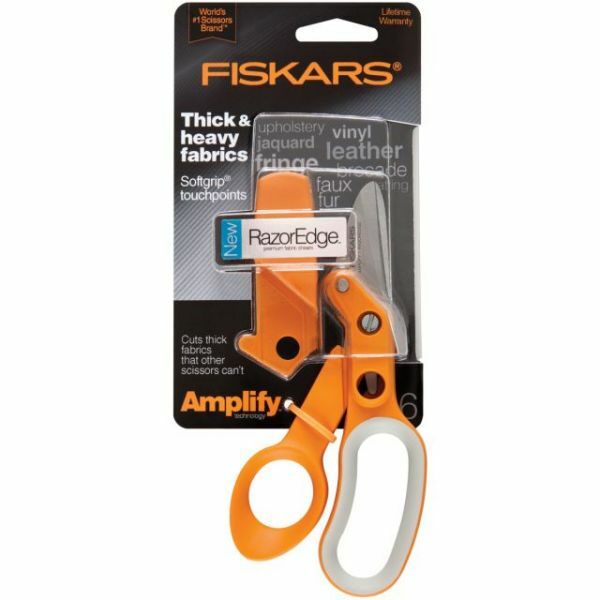 Amplify RazorEdge Fabric Scissors 6"
Amplify RazorEdge Fabric Scissors 6" - FISKARS-Amplify RazorEdge Fabric Scissor. These scissors cut thick fabrics that other scissors can not! 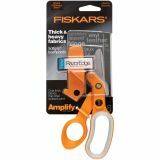 Amplify technology senses blade separation when cutting thick materials and forces the blades back together for crisp, clean cuts every time. The floating blade tang allows the transfer of energy to the torsion bar which adjusts the blade to its optimal angle. Features softgrip touchpoints, razoredge blades and a protective sheath. This package contains one pair of six inch scissors. Imported.